This photo is of the bride and groom dancing with their friends on the shoulders of two groomsmen. 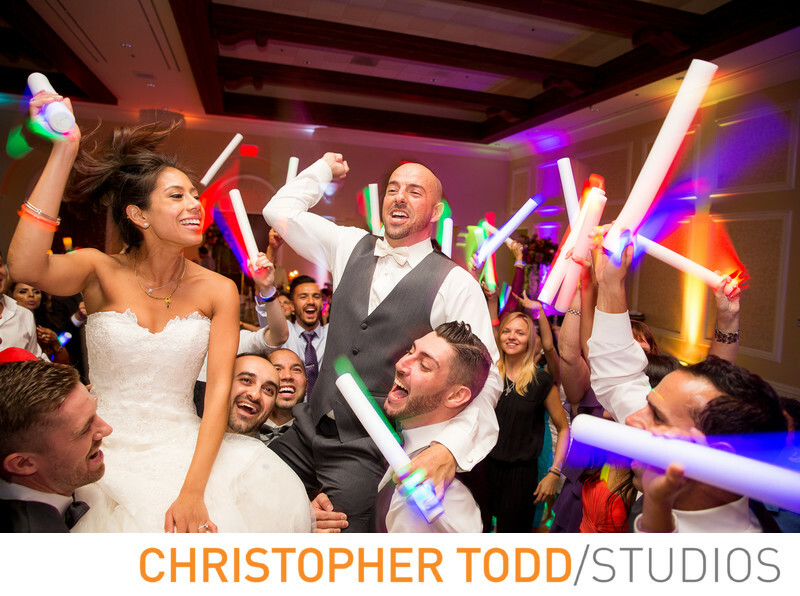 All the wedding guests had neon light sabers. These colorful party props made this photo fun and bright. The wedding reception was held in the Huntington Ballroom and went late into the night. Location: 21500 Pacific Coast Highway, Huntington Beach, California, USA, 92648. 1/15; f/3.5; ISO 800; 24.0 mm.